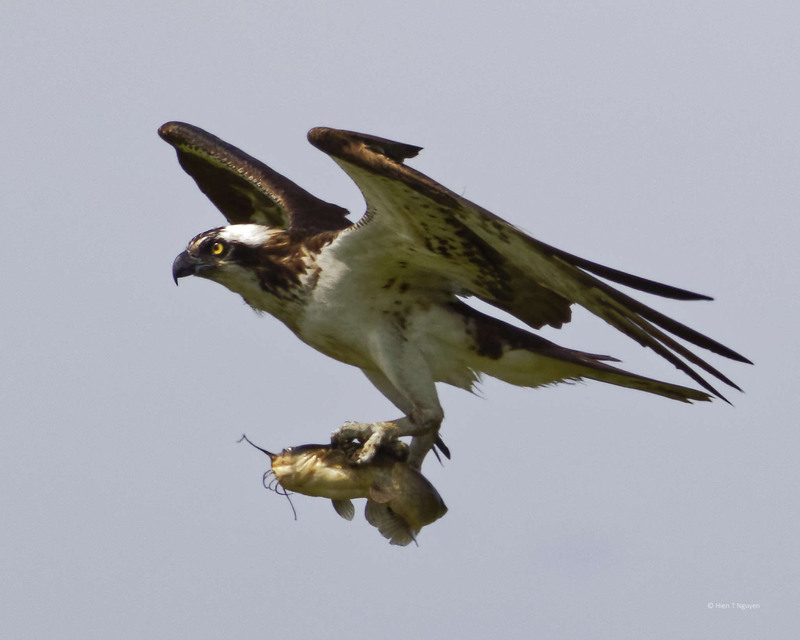 I love the shot of the male flying in with dinner .. wonderful! Thank you Julie! Glad you like it. 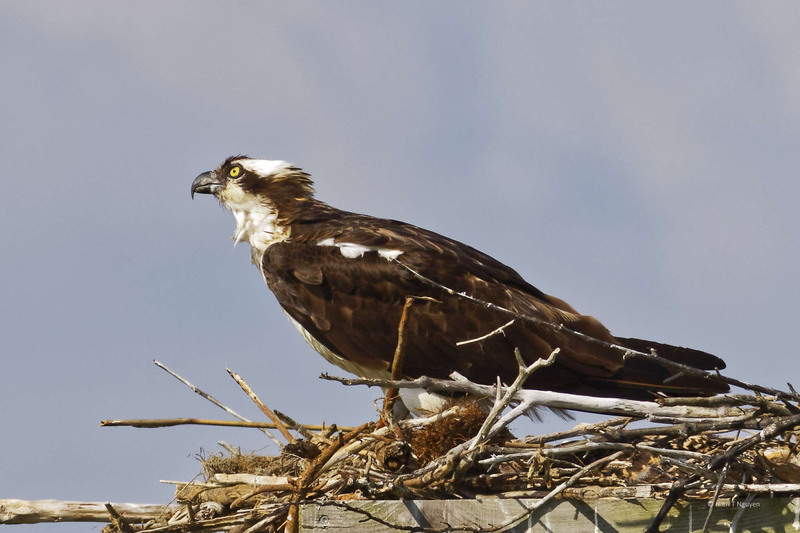 Great captures of the daily life at the osprey nest, Hien! 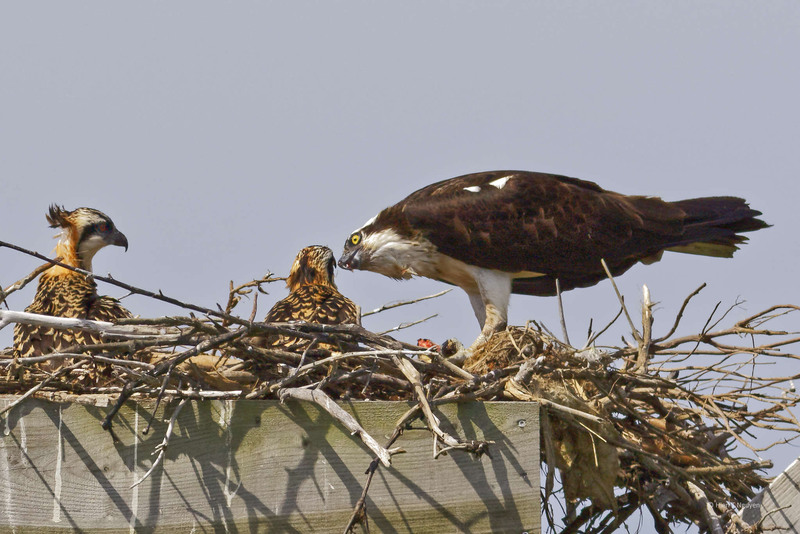 Sometimes (after the chicks are around 5-6 weeks old) they both go fishing if the chicks are hungry. You captured such a fairly rare moment so well. He was indeed a very good parent, and your caption fits him perfectly. Thank you Eliza! 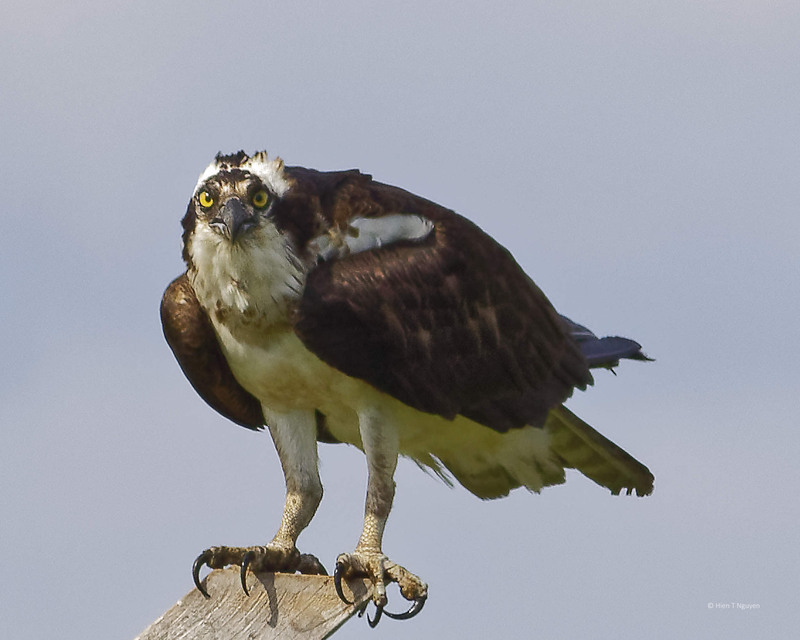 Sounds like an absolutely great morning, and you did in fact get some outstanding photos! 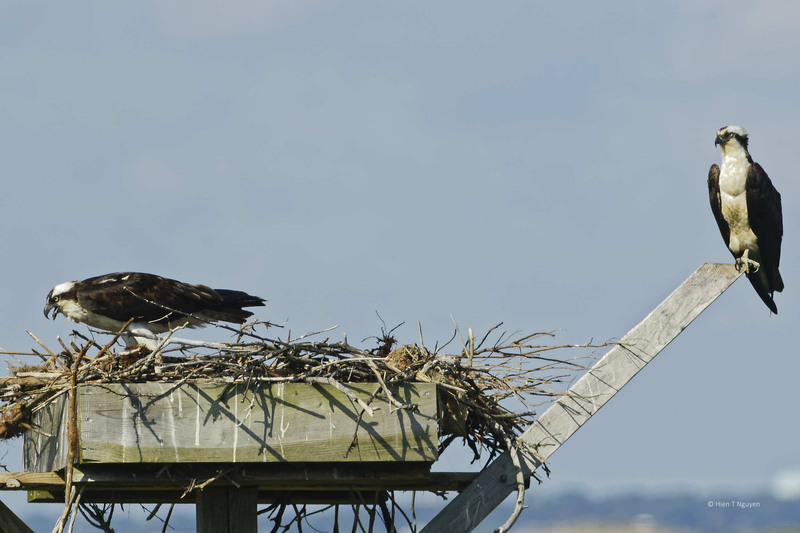 This time, instead of taking pictures of every bird I saw, I concentrated on this Osprey family. It turned out to be well worth it. Thanks John! I loved these images and the story behind them! 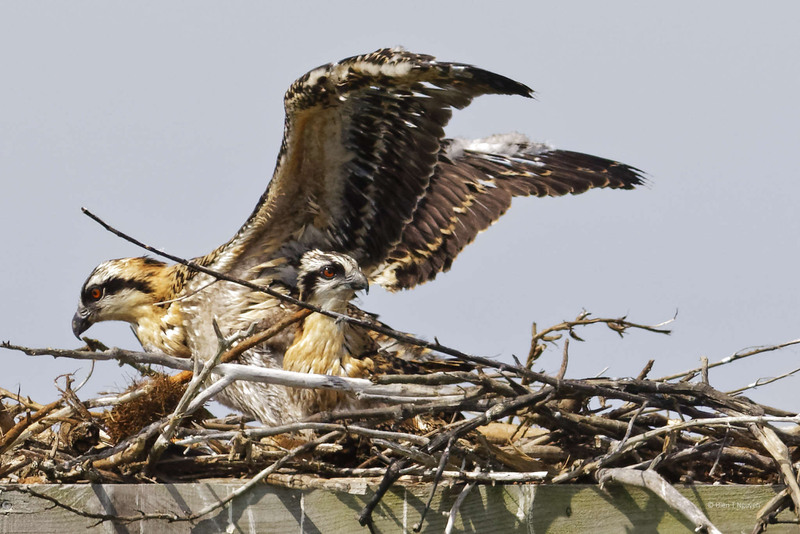 I suppose that osprey behavior is much the same in all parts of the country, for I was able to watch a pair with young at their nest, and the same events occurred as I watched. 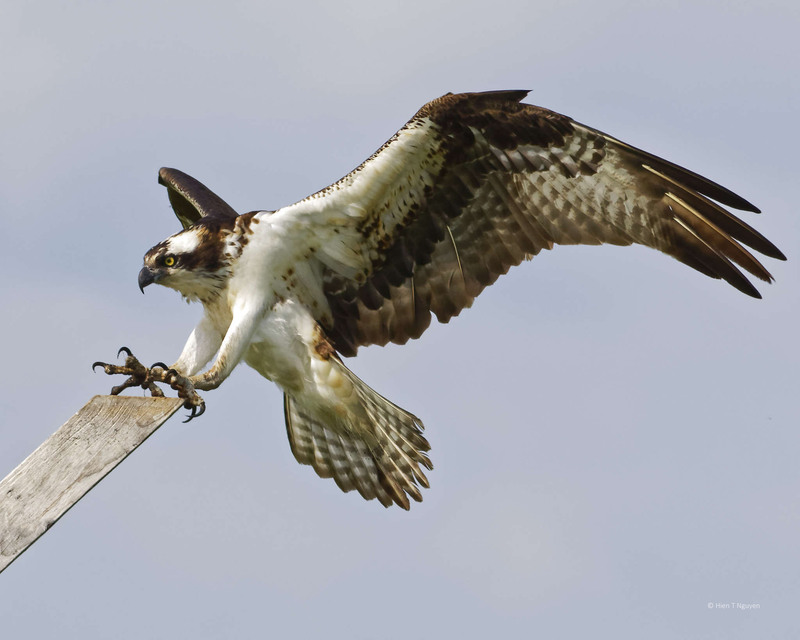 Ospreys behave probably the same all over the world. I saw them on the coast of Viet Nam, and they look and behave the same as those here. I am looking forward to seeing your photos of them, which should be quite a treat for your readers. What a wonderful photo story! As always I have been enjoying each of your posts. I hope you’re having a good summer. Thank you very much Takami! I have not seen a recent post on your blog, have you been busy with other things? 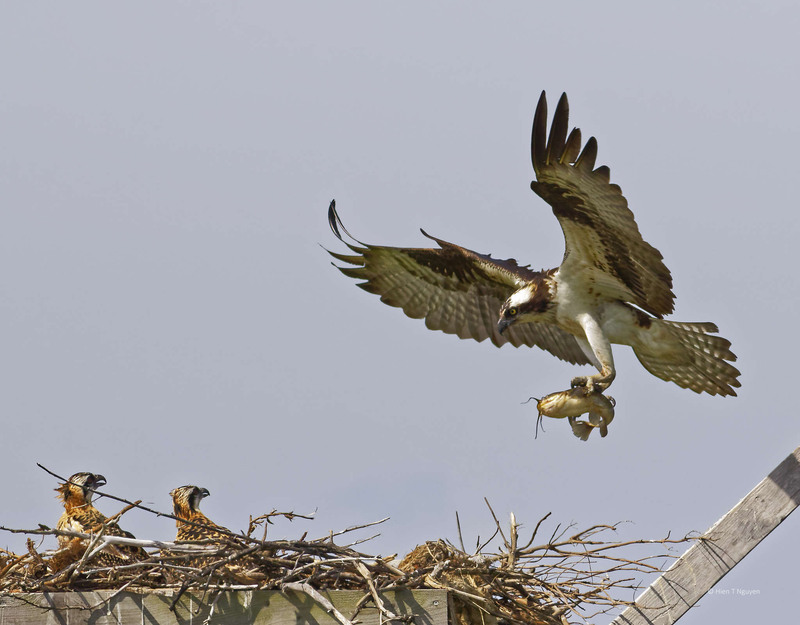 Amazingly documented Osprey story,Hien!Stunned by your wonderful narrative photos,the sequence of the events,and the loving care of the Osprey parents.Also,can’t believe how the little ones got so upset when they were left alone.Bravo,you did an excellent job. 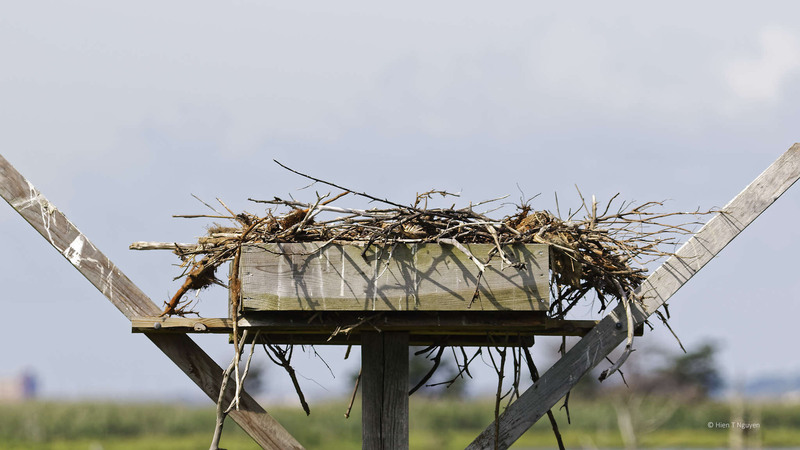 I’ll try to go out there after they fledge. Thank you Donna! Your dedication paid off, Hien. What great photos, and what a great story!